Metallica's WorldWired Tour has confirmed its return to the UK, this time for two outdoor gigs at Manchester's Etihad Stadium and London's Twickenham Stadium. Tickets go on sale on 28 September at 10am at LiveNation.co.uk. The new dates are Metallica's first in the UK since Sept. 2017 to May 2018 indoor run that broke attendance records in 29 venues across the continent. Kicking off May 1, 2019 at Lisbon's Estadio Restelo, the 25 newly announced WorldWired shows across 20 countries include a good dozen cities not visited on those 2017-2018 legs of the tour-including Milan, Zürich, Dublin, Brussels (for the first time since 1988), Berlin, Moscow, Warsaw, Bucharest and Gothenburg, and first ever appearances in Trondheim Norway, Hämeenlinna Finland and Tartu Estonia. With this kind of itinerary, it's natural that the Wherever I May Roam Black Ticket will be returning: one ticket allowing floor access to any Metallica show on the 2019 UK/Europe tour. From Amsterdam) to Zurich) and all points between, Black Ticket holders need only choose the show(s) and make an online reservation no less than 48 hours before the gig. A limited number of 750 of these Black Tickets* will be available for 598 Euro, more info here: CID Entertainment. 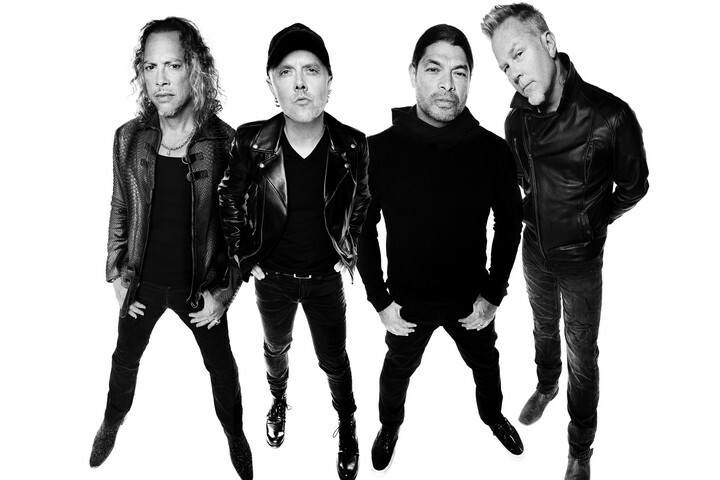 As with most of Metallica's WorldWired shows, every ticket purchased includes a choice of standard physical or standard digital copy of the band's 10th and current album, Hardwired…To Self-Destruct. And once again, all tickets will include a free MP3 download of the show(s) attended, mixed and mastered by the team behind Hardwired...To Self-Destruct. The free full-show downloads can be obtained by scanning or entering the barcode from that show's ticket stub at LiveMetallica.com/scan. Fan Club Presales begin tomorrow, Tuesday, September 25. Click here for details-and for a complete list of other presales, click here. Tickets go on sale on 28 September at 10am at LiveNation.co.uk. Hospitality tickets are available to book online here. Tickets for Metallica go on-sale to the general public on Friday 28 September at 10am at www.livenation.co.uk/.